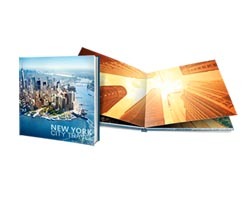 Make your choice from our wide range of Lay-Flat photo albums. 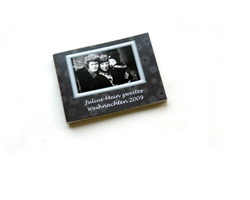 We can produce your Lay-Flat album within 5 working days. 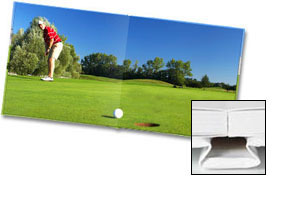 The sheets are glued back to back to make a very sturdy photo album. 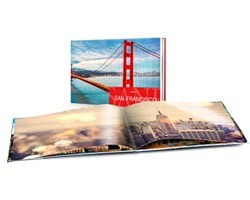 The left and right pages meet seamlessly, so you can easily spread your photos over two pages. 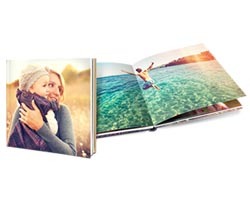 These photo albums use 180 g/m² paper and can be expanded per sheet. 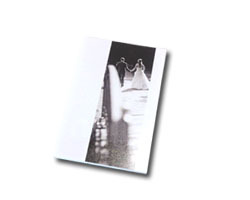 Because the sheets are glued to each other, the final page weight is 360 g/m². 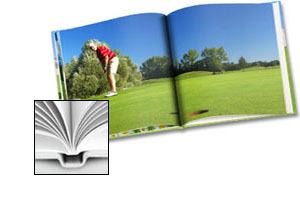 The outside of the cover is printed, while the first and last pages of the content are glued to the inside. That way, the first page of the content is on the left, the second on the right, etc.